Home > Other Sports > Tennis > Can Wimbledon do it better than the BBC? Wimbledon take control of their own broadcasting for the first time in history. 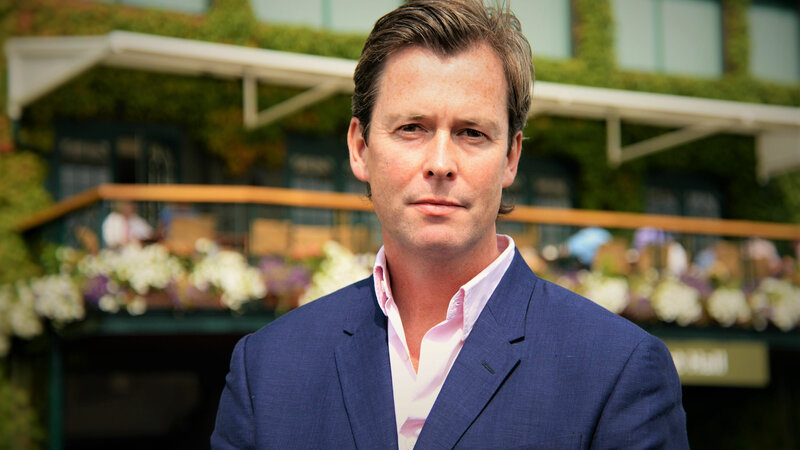 Sports Gazette reporter Emily Victoria spoke with Wimbledon’s Head of Broadcasting, Paul Davies, to find out how this will impact fans watching at home, and if Wimbledon Broadcasting Services (WBS) can really live up to the BBC’s coverage. Wimbledon is fast approaching, and tennis lovers around the world will be tuning in for the most prestigious Championship in the world. It is the the best of all the Grand Slams and it’s famous for its grass courts and traditional English ambiance. With no VIP area around Centre Court, its the chance for fans to rub shoulders with celebrities, and this year is perhaps even more spectacular as it marks the 150th anniversary of the All England Lawn Tennis and Croquet Club (AELTC), which is on 23 July. The BBC until now have been host broadcasters, but this year Wimbledon are taking over coverage under the name WBS. 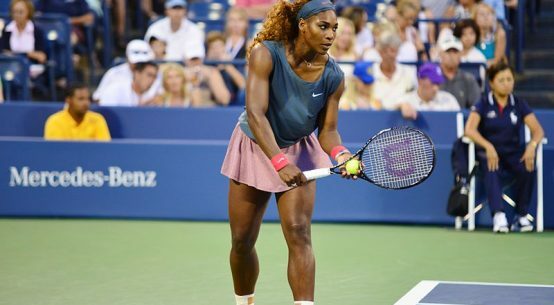 They will be, for the first time, transmitting coverage in ultra high definition from Centre Court, and showing games from all 18 courts throughout the Championships. Davies said this will have a positive impact on the kinds of games people around the world can watch. He said: “We’re showing coverage from all 18 courts – it used to be 15. So, no matter which country you’re from [if someone from your country’s playing] you get live coverage of that play in any round, effectively. “This year is a transition into WBS doing the host coverage, but we’re still working closely with the BBC on that. We employ probably up to about 27 commentators, and probably four or five reporters to do post-match interviews. Obviously the BBC will have their own bespoke reporters and be doing their own features. “We have commentators ranging from John McEnroe, Boris Becker and Martina Navratilova. A lot goes into hosting a major sporting event watched by millions around the world. There’s the rights fight between broadcasters to take into consideration. The funding from which provides Wimbledon with the ability to host a world-class event and keep improving each year. Currently there are several building projects costing hundreds of millions of pounds in progress. Not that you’d be able to tell if you’re visiting the club over the tournament. The building takes place for eight months of the year and, for four months, everything is restored to being presentable for the fortnight that is Wimbledon. This includes the multi-million pound project renovating the broadcast centre. Over three floors there are now several new edit suites as well as “state-of-the-art” transmission centers. This is great for tennis fans, because it gives Wimbledon the chance to provide different coverage of other events throughout the year. Davies says the funding from broadcasters is only part of the reason they choose to partner with them. The club’s main objective is to ensure coverage of the Championships reaches as many people in as many different countries as possible. He says of the decision to become their own host broadcaster: “Fundamentally, I think the club spotted themselves that governing bodies and sports rights holders need to take more control of their destiny at a time when that is happening more and more. “You’ve only got to look at things like the IOC [International Olympic Committee]. They were probably the first in-house organisation to produce all their content through Olympic Broadcasting Services. “A quality threshold is so much greater potentially than the broadcasters can either do from an investment perspective or an aspiration side. “Then there’s the actual control of the coverage and that can be commercially related. Certainly on F1 coverage [who are in-house host broadcasters] you see much more commercial control in terms of which cars you see at which times or the framing of a particular shot to take in a Rolex bridge or whatever. “I’m not saying we’re doing this for commercial reasons. I’m saying we’re doing it more to determine or self-determine when we do things. For example, Centre Court coverage will be in ultra high definition this year, because we’re doing it. The BBC may not have driven that so much because that’s not part of their agenda. So how will this change impact the quality of the coverage? Well if all goes to plan, it should be even better. As with all transitions, there may be teething problems. This, at least, shouldn’t be as controversial as VAR (video assistant referee) has been during this World Cup. Having said that, it is hugely important to all fans to be able to watch Wimbledon without bars and tone going to air and interrupting play. The company employed to provide the technology needed to run the whole operation is the NEP Group who are renowned for quality and reliability. Davies is excited more than anything about this change and is fully committed to providing the public around the world with the chance to catch all the drama. He continued: “We never stand still. Our motto is ‘the pursuit of greatness’ and that’s what all areas [of the club] strive for. Whether you’re in horticulture doing all the flowers and shrubbery, whether it’s the courts teams preparing the courts, whether it’s the estates teams dressing the entire site, there is always a pursuit of greatness. Davies alluded to possible pay-per-view services in the future. So as a fan you might be able to pay the club directly to watch a game you’re interested in rather than the whole thing (assuming you’re not able to watch the BBC’s coverage if perhaps you’re watching internationally, for instance). This would be restricted to online-viewing maybe through a smart TV. There could be a possibility for Amazon to stream some of the games in Germany one day if they cover a wider area than Sky Deutschland or one of the other broadcasters there with an appetite for the Wimbledon rights. 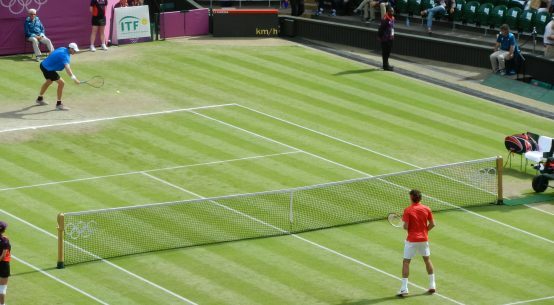 One thing is certain though, Wimbledon wants to protect its image, its history and more than anything, provide first-class coverage to as many people globally as possible, including areas which cannot access it currently. Becoming their own host broadcaster is the first step in this journey.